Our world renown experts and leaders in the field of bone health advise us on the latest in science and research. They help us communicate relevant evidence-based information to the public in a way that is practical and useful. 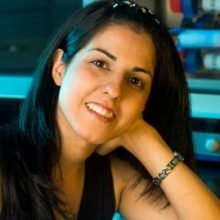 Shirin Hooshmand, PhD, is Associate Professor of Nutrition at the School of Exercise and Nutritional Sciences at San Diego State University. She received her PhD and completed her post-doctoral training at Florida State University working in the area of nutrition, bone, and cartilage. Her current research interests include bone and calcium metabolism, osteoporosis and osteoarthritis, and functional foods. She has published 32 original articles in peer reviewed journals and presented more than 60 abstracts in national and international symposiums. Dr. Hooshmand’s current research focuses on the role of both natural and synthetic compounds in prevention and/or treatment of osteoporosis and osteoarthritis. Dr. Kagan is a board certified obstetrician-gynecologist, graduate of New York University and the Albany Medical College of Union University. She completed her internship-residency at the University of California San Francisco in 1982. Dr. Kagan is Clinical Professor, Department of Obstetrics, Gynecology, and Reproductive Sciences, University of California, San Francisco. She is a North American Menopause Society (NAMS) certified Menopause Practitioner and is certified by the International Society of Clinical Densitometry (CCD). She specializes in gynecology with a particular focus on gynecologic surgery and women’s health issues. 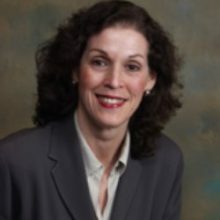 She serves on national committees developing standards for menopause and osteoporosis care and is actively involved in several professional organizations including the North American Menopause Society, where she serves as a member of the NAMS Board of Trustees. Dr. Kagan has been recognized for many years as one of the Bay Area’s best physicians. Dr. Karpf is an adjunct clinical professor of endocrinology at Stanford University School of Medicine, where he sees patients with osteoporosis and metabolic bone disease. He is board certified in internal medicine with a subspecialty in endocrinology and metabolism. A UC Berkeley graduate, Dr. Karpf received his medical degree from UC San Diego and completed residency in internal medicine and fellowship in endocrinology, diabetes and metabolism at UCLA/Cedars-Sinai Medical Center. This was followed by a fellowship in metabolic bone disease in the endocrine bone unit at UCSF, where his bench research focused on characterization and isolation of the PTH/PTHrP receptor. 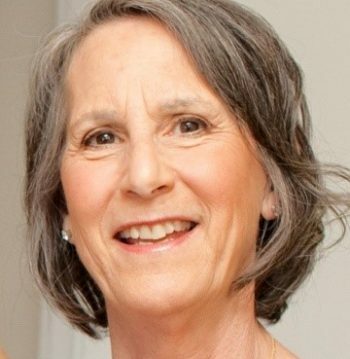 Dr. Kohrt received her PhD in Exercise Science from Arizona State University in 1986 and spent the first 13 years of her career in the Department of Medicine, Division of Geriatrics and Gerontology, at Washington University School of Medicine in St. Louis. She carried out research projects there on the effectiveness of exercise and hormone replacement therapy to prevent such diseases as diabetes and osteoporosis in women and men, aged 60 years and older. 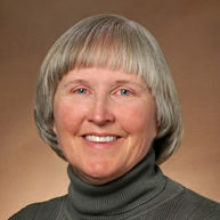 In 1999, she moved to the University of Colorado Health Sciences Center (UCHSC) in Denver, where she established the IMAGE research group – Investigations in Metabolism, Aging, Gender, and Exercise. The mission of the IMAGE group is to be a national leader in aging research focused on the prevention of disease and the maintenance of functional independence in old age. Dolores Shoback sees general endocrine patients with an emphasis on metabolic bone disease and osteoporosis. She is board certified in internal medicine with a subspecialty in endocrinology and metabolism. 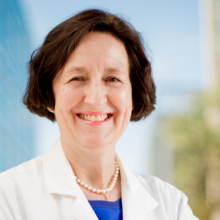 A professor of medicine and director of the UCSF Training Program in Diabetes, Endocrinology and Metabolism, her research interests are metabolic bone disease, the calcium sensing receptor and parathyroid hormone. Shoback completed her undergraduate studies at the University of Pennsylvania. She went on to Johns Hopkins University for medical school and performed a residency in internal medicine at Johns Hopkins Hospital and then completed a fellowship in endocrinology at Brigham and Woman’s Hospital in Boston. Dr. Aimee Shu is a medical endocrinologist with particular interests in reproductive and bone health. She enjoys treating patients with menstrual disorders, menopause, fractures, osteoporosis, parathyroid imbalance, and calcium imbalance. As a Clinical Associate Professor of Medicine at Stanford University, she is active in teaching students and physicians-in-training. She is a certified clinical densitometrist (International Society for Clinical Densitometry) and a certified menopause practitioner (North American Menopause Society). 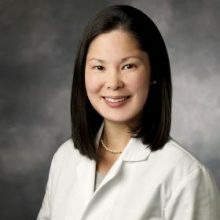 Dr. Shu completed her undergraduate studies at Princeton University, medical degree at Harvard University, internal medicine residency at Brigham and Women’s Hospital in Boston, and endocrinology fellowship at Columbia University Medical Center in New York. Dr. Singer taught at Harvard Medical School prior to assuming faculty positions at both USC’s and UCLA’s schools of medicine. 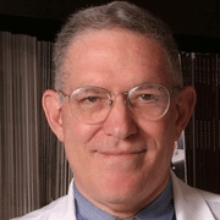 He has served on several advisory committees for the U.S. Public Health Service, co-chaired medical symposia on bone disorders, and received a special award from the Paget’s Disease Foundation. Before joining JWCI, Dr. Singer was director of the Bone Center at Cedars-Sinai Medical Center (Los Angeles). As Director of the Endocrine/Bone Disease Program at JWCI, Dr. Singer is expanding his investigations of abnormal bone metabolism in cancer patients. 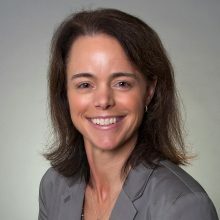 Dr. Laura L. Tosi, Associate Professor of Orthopaedics and Pediatrics at George Washington University, founded and directs the Bone Health Program at Children’s National Health System. Dr. Tosi graduated from Harvard Medical School and trained at the Columbia Presbyterian Hospital New York and the Hospital for Sick Children (Toronto). Dr. Tosi’s clinical practice, advocacy, research and education efforts focus on improving bone health across the lifespan. She has previously served on the Board of Directors of the American Academy of Orthopaedic Surgeons (AAOS), the Pediatric Orthopaedic Society of North America, the Orthopaedic Research and Education Foundation, the Academic Orthopaedic Society, and the Society for Women’s Health Research. She currently serves on the Board of the Osteogenesis Imperfecta Foundation and US Bone and Joint Initiative. 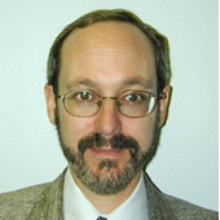 Dr. Warner is a Senior Director of Scientific and Medical Services for Musculoskeletal Imaging at PAREXEL Informatics. In this role she provides expertise in study design, imaging standardization, and customization of analysis software tools for musculoskeletal clinical imaging trials. Her research of bone metabolism, arthritis and body composition has included the use of various imaging modalities including histomorphometry, radiography, ultrasound, DXA, MRI, QCT and high resolution CT. In addition to her work in clinical trials, Dr. Warner writes and teaches courses in the field of musculoskeletal imaging. Dr. Warner’s academic field of study was in the biophysical science of sport and exercise physiology. She received her PhD from the University of Utah and her MA from the University of Connecticut. 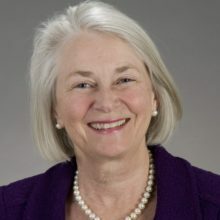 Nancy Fugate Woods, is dean of the School of Nursing and professor in the department of family and child nursing at the University of Washington. Since the late 1970s, she has led a sustained program of research in the field of women’s health. Her collaborative research has resulted in an improved understanding of women’s transition to menopause, including physical and emotional factors; has advanced nursing care for mid-life women; and has provided women with a better understanding of their health. Her honors include election to the Institute of Medicine of the National Academies and to the American Academy of Nursing. 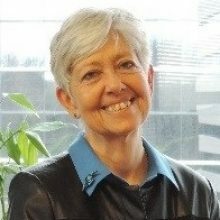 She received the American Nurses Foundation Distinguished Contribution to Nursing Research Award, and the Pathfinder Award from the Friends of the National Institute for Nursing Research. She earned a B.S. in nursing from the University of Wisconsin, Eau Claire, in 1968; a M.N. from the University of Washington in 1969; and a Ph.D. in epidemiology from the University of North Carolina, Chapel Hill, in 1978. 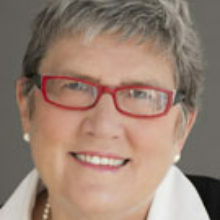 Joan McGowan, PhD, retired in 2018 from the National Institutes of Health where she served as Program Director for Bone Biology and Bone Diseases and then for the last 10 years as the Director of the Division of Musculoskeletal Diseases at the National Institute of Arthritis and Musculoskeletal and Skin Diseases (NIAMS). Before joining NIH, Dr. McGowan was a faculty member at the Harvard Medical School and Massachusetts General Hospital. She received training at Cornell (MS) and Brown University (PhD). Dr. McGowan was very active in osteoporosis and women’s health activities at NIH including serving as the NIH liaison to the National Bone Health Alliance and the US Bone and Joint Initiative. She co-chaired the Federal Working Group on Bone Diseases and was the NIH organizer of a Consensus Development Conference on Optimal Calcium Intake in 1994 and one on Osteoporosis held in 2000. She was also the Senior Scientific Editor of Bone Health and Osteoporosis: A Report of the Surgeon General. In 2011, she received the ASBMR Shirley Hohl Service Award and in 2018 the President’s Special Recognition Award.